Highlights from Craven Cottage as Fulham faced Hull in the Sky Bet Championship. Hull City returned to the top of the Sky Bet Championship as they ran out 1-0 winners over Fulham in a tight encounter at Craven Cottage. Abel Hernandez's second-half penalty was enough to hand the Tigers maximum points after Moses Odubajo found his heels clipped by Lasse Vigen Christensen in the box with 10 minutes remaining. While Hull were looking for their fifth straight victory, Fulham were in search of only their second win in 15 games - and their first under recently-appointed head coach Slavisa Jokanovic. Home goalkeeper Andrew Lonergan was called into action after 12 minutes when he was able to get a hand to a shot from Hernandez, after outsprinting a flatfooted defence. Fulham enjoyed the majority of possession, although they were unable to do much damage to a resolute Hull defence. 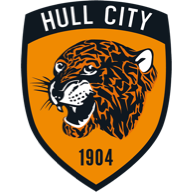 In the first real chance on goal for the hosts, after 38 minutes, Hull goalkeeper Allan McGregor could only deflect away a low shot from Tom Cairney before Odubajo deflected his clearance off the onrushing Alexander Kacaniklic. Jamie O'Hara created the first chance after the restart, when he delivered a first-time shot low past the left-hand post of McGregor on 48 minutes. Cairney almost managed to break the deadlock against his former side when his 54th-minute free-kick from 20 yards out just curled wide. Scott Parker also came close three minutes later for the hosts when his shot outside the box also found the wrong side of the upright. Despite picking up more of the ball, Hull looked impotent in front of the Fulham area, although they were given precious little space by a tight defence. Manager Steve Bruce replaced the ineffective Isaac Hayden with Tom Huddlestone, while Harry Maguire glanced a 71st-minute free-kick from Robert Snodgrass wide. There was further frustration for the visitors when Hernandez curled a 77th-minute effort from just outside the box well over the bar. However, they got their breakthrough with 10 minutes left. Odubajo was brought down by Christensen, allowing Hernandez to net his 17th goal of the season - although Lonergan was unlucky to find his full-stretch attempt to save ultimately futile in keeping the ball out. Mohamed Diame was unable to find the target after 87 minutes when he pounced on a downward header from Maguire after a Snodgrass corner. 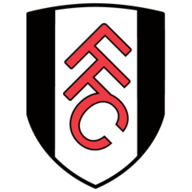 Fulham were still in the contest and McGregor was forced into an excellent finger-tip save in injury time from a 30-yard O'Hara free-kick. However, Lonergan was forced to make an excellent low stop from a curled effort from Diame late in stoppage time as Hull held on for all three points.